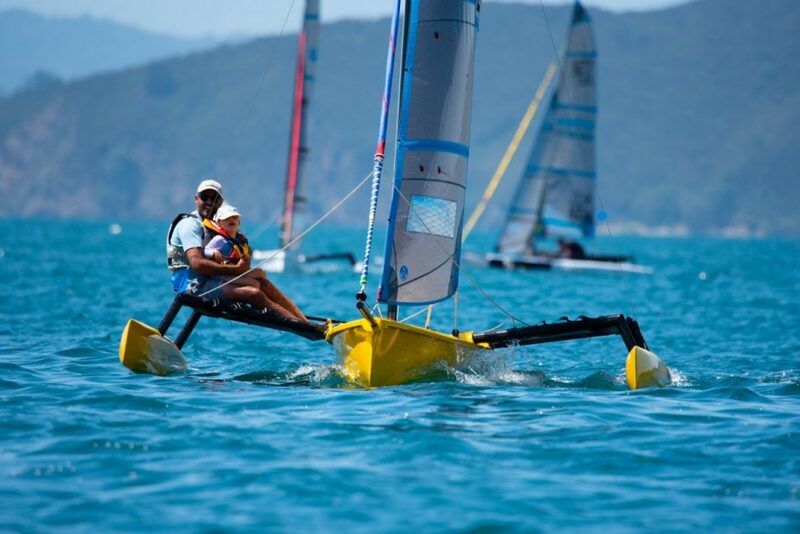 “Good racing in good breeze from the start, with no delays”, was how Regatta Chairperson Manuela Gmuer-Hornell summed up the second day of racing at CRC Bay of Islands Sailing Week yesterday. In A Division, Mayhem and Georgia continue to dominate across the line, and at the end of day two it’s Georgia on top with Mayhem just behind on general handicap in the series results. 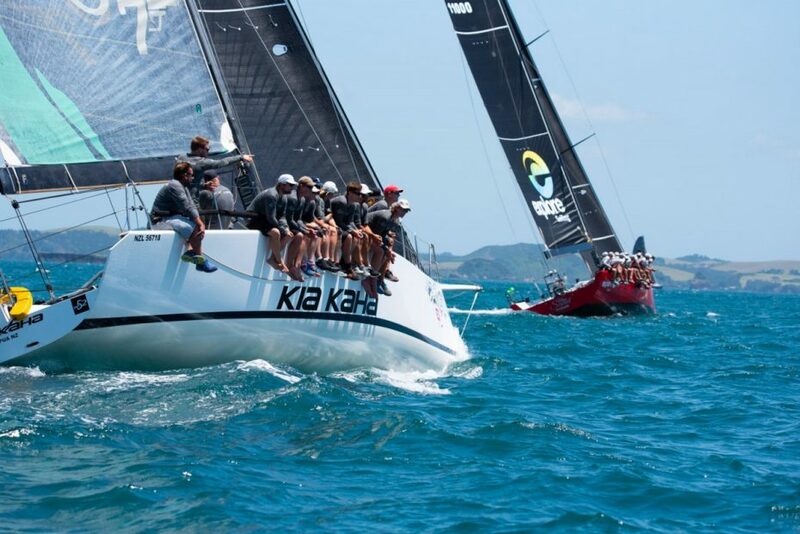 But on PHRF it’s a different story, with locals Kia Kaha putting up the good fight against the out-of-towners, leading the PHRF table by one point as they go into the final day’s racing. 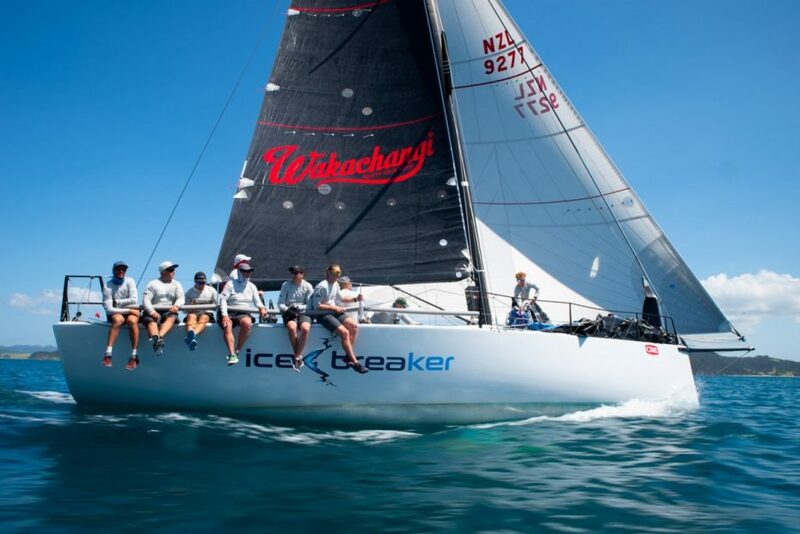 Icebreaker is the stand-out in B Division, with line honours in all three of yesterday’s races. With the highest handicap of the fleet, her wins over the line should be no surprise. 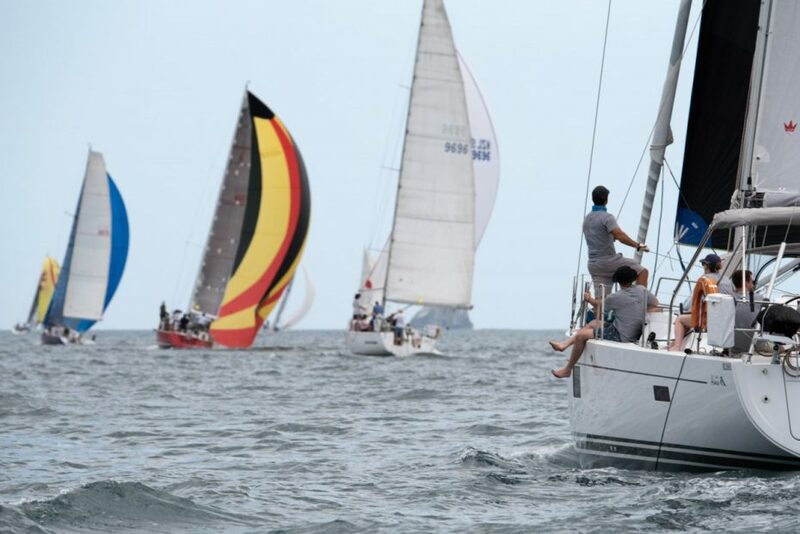 But skipper Steve Purton must have had his crew working extra hard, as they’d done enough to put her at the top of the series results for both general handicap and PHRF by the end of day two. Even in a one design class like the Weta Trimarans, the differences between the fastest and slowest boats means setting courses that keep everyone happy can be tricky. Short races for some yesterday meant a few grumbles, but these were quickly countered by praise from other competitors who thoroughly enjoyed their day. 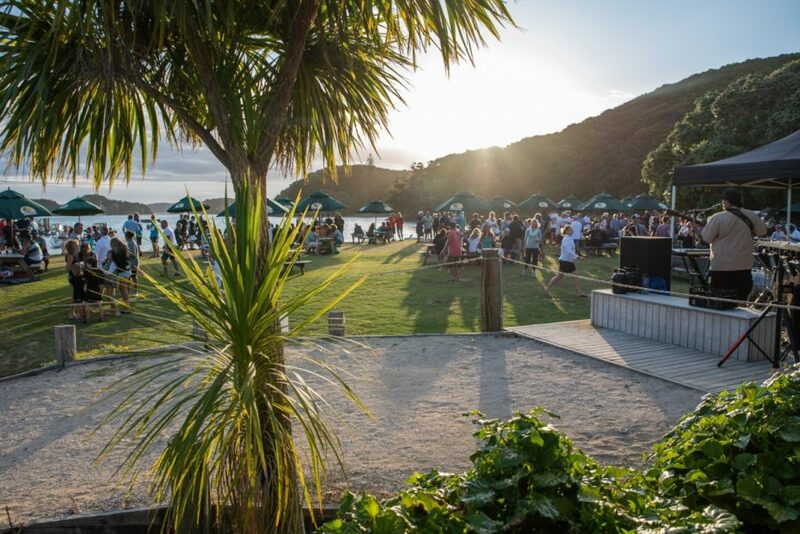 Following the day’s racing, several hundred sailors, together with friends and family, boarded Explore ferries to the Otehei Bay resort on Urupukapuka Island, for a revival of one of the regatta’s best-loved events – the Thursday evening beach party. “It was really good” said one partygoer, “it had a lovely atmosphere”. A late finish for some may mean slower racing today, but a forecast for steady breeze should see good racing again for the final day today. Racing concludes today, Friday 25 January, and final results will be announced at prizegiving from around 7pm in Opua this evening. 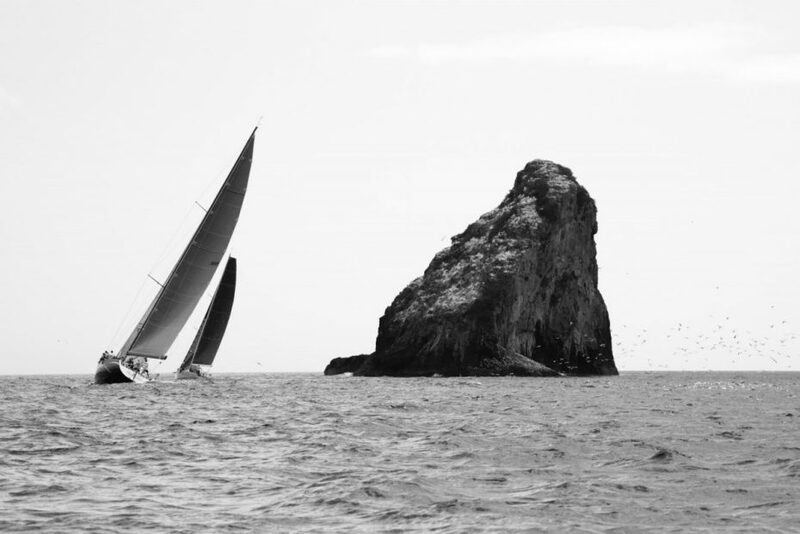 © 2019 Bay of Islands Sailing Week. All rights reserved.